Welcome to the May digital release blog hop!!!! These winners will each win a Whimsy digital image of their choice. The hop will run for 1 week and end on Wednesday 8th May at 12 Noon EST, when the lucky winners will be announced right here. Here is my creation using a great digital image from Whimsy Stamps by Stamp Art Design called Full Bloom 2. I decided to make it as a mothers day card, cause that is in just a few weeks. I colored the image with copic markers and added a little sparkle with stardust stickles. Supplies: Bazzill cardstock, Bo Bunny patterned paper, Spellbinder Fancy Framed tags, Martha Stewart butterfly punch, Technique Tuesday sentiments,Zva crystals, Whimsy stamps flowers, Prima marketing leaves. 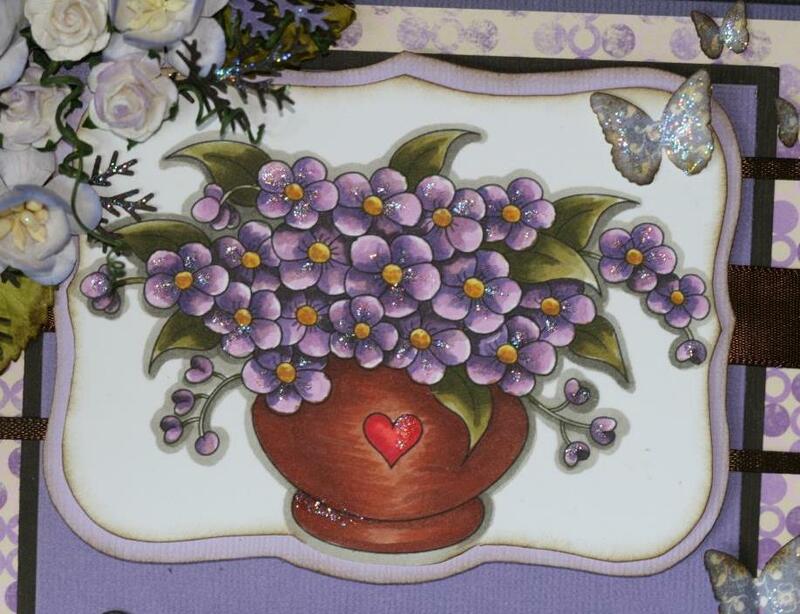 Super awesome card, love the colors, and flowers are awesome! BOOYA! Great blog hop! Beautiful coloring! This card is gorgeous! Seems like this is the new fave image on the hop!! Gorgeous card...my mom would love it..she loves everything lavender!! Fantastic coloring! 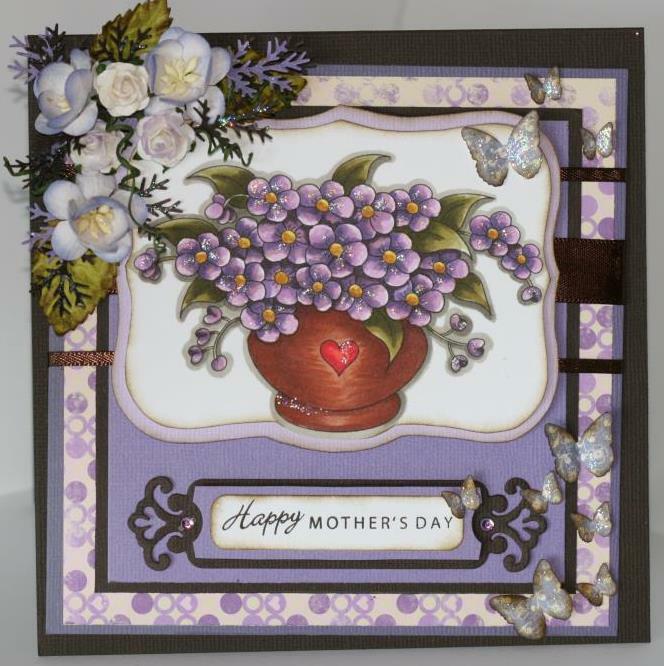 What a stunning card - Love all the purple. Your coloring is amazing. And I really love the flowers and everything else about this card! Absolutely stunning..... I love the colors and the butterfly. So beautiful, love the image and colours.